Happy Thursday! I'm heading out of town for a few days, for my second half-marathon (this one's in the Outer Banks), so I wanted to post a bit before I leave. First of all, our Veterans' Day Sale started today and runs through next Saturday the 14th. 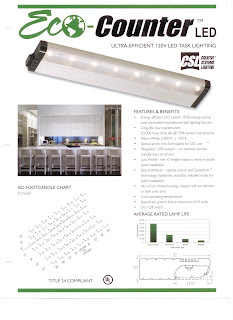 Our ad is in the new Local Living section of the Washington Post (page 10) ~ 15% off all in-stock lighting and accessories (excludes fans). Mention the blog and you'll also get a free gift with a purchase of $200 or more! I know this looks like a bit of a mess, but can you see that recessed light in the back left? 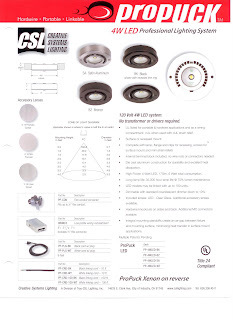 That's their new LED 3-3/4" recessed light that will be available in February. This will be the brightest, smallest LED recessed light on the market, and it is gorgeous! And as bright as an MR16! Amazing! 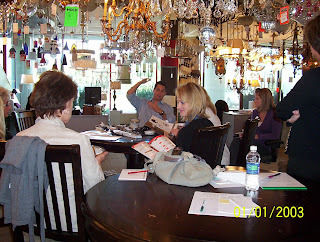 That's Ryan Fisher in the back, and Debbie Fortney, Amanda Leonard, & Cathleen Smith also in the shot. 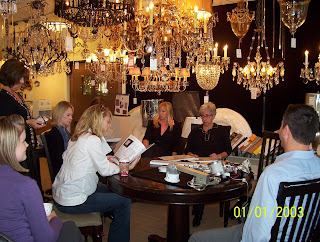 Cathleen & Amanda again, plus Laura Gerber who used to work here but now works for Sagatov Builders, plus Erin Schwartz and Liz Iacone, our CSL rep.
And now here is some of CSL's literature. The recessed light is not yet available, so no literature yet, but his other products are equally fabulous, and we'll have samples on display very soon. 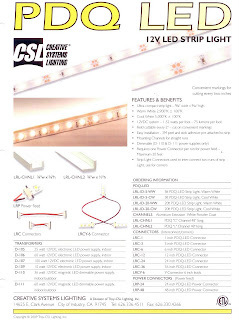 My thanks to Catherine and the Dominion team for letting me present all the latest in LED products from CSL. 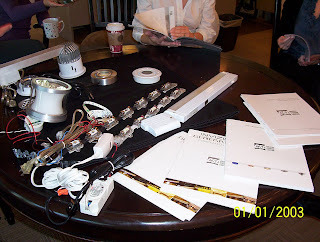 It is always fun to work with the Dominion Team and I must say Dominion has more great LED products on display for their customers to see and learn then any other showroom out there. I am looking forward to coming back soon, have a great end to 2009!! !